One of the concerns we have as our family members age is how a family member will be able to pay for nursing home care if he or she needs it. Depending on the source, in 2018 the average cost of nursing home care in Florida is approximately $9,171.00 per month. Many families across Florida do not have the money to pay for nursing home care. Other people would like to know how they can preserve assets to transfer to loved ones, even if they need nursing home care. Qualifying for Medicaid can help someone pay for their nursing home care while still transferring some of his or her assets to loved ones instead of paying the nursing home until his or her assets are exhausted. According to the Centers for Medicare and Medicaid Services, “Medicaid provides health coverage for millions of Americans, including eligible low income adults, children, pregnant women, elderly adults, and people with disabilities. Medicaid is administered by states, according to federal requirements. The program is funded jointly by states and the federal government.” Our Medicaid planning practice focuses on care for the elderly. Medicaid is one of the top sources of funding for nursing home care on Florida. According to the Kaiser Family Foundation in 2017, Medicaid was assisting with payment for 57% of Florida nursing home residents and paying for 59% of total long term care spending. Overall in the United States, Medicaid covers 62% of nursing home residents. Therefore, Medicaid is an important part of our long term care system which is used by many people to pay for long term care. Medicaid planning is the legal rearrangement or transfer of assets owned by a Medicaid applicant, in this case the person who may be or is currently a nursing home resident, that will allow for the applicant to qualify for Medicaid benefits. Currently, the financial eligibility standards for Florida Medicaid in 2018 require an applicant to have income of less than $2,250 per month and own assets of less than $2,000 in order to qualify for Medicaid benefits. These amounts can change from year to year and will likely change in 2019. Florida Medicaid planning attorneys use several different techniques to allow clients to qualify for Medicaid long term care benefits. Some of these techniques include reducing income using qualified income trusts, personal services contracts, transferring assets to spouses, and transferring countable assets to noncountable assets. It is important to remember that Medicaid planning is completely legal. 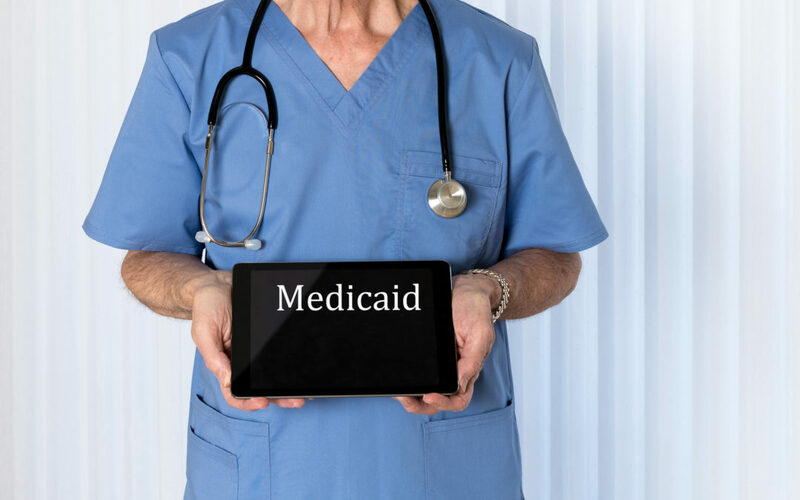 In fact, the Florida Medicaid policy and rules are influenced by Medicaid planning strategies used by Florida attorneys to allow for applicants to qualify for Medicaid. Speaking for our firm, nothing that we do is intended to hide anything from the Department of Children and Families (DCF), the Florida agency that process Medicaid applications. Our goal is actually the opposite. We create a clear record of each step of our Medicaid plans for review by DCF. Everything that we do for our clients to qualify for Medicaid is disclosed to DCF through the Medicaid application. Believe it or not, the Florida Medicaid rules are written to allow for the Medicaid planning strategies Florida attorneys employ. Who should consider applying for Medicaid long term care benefits? There are two types of people who should consider applying for Medicaid long term care benefits. The first are people who need nursing home care, but have not been admitted into a nursing home yet or are still within the Medicare payment period. In these cases, Medicaid planning is done in preparation if the applicant is required to stay in the nursing home longer than the Medicare payment period. The second type of person is someone who is in a nursing home, but can no longer pay for it. These people may have had long term care insurance that has run out or have exhausted their savings. Most times these people have income that is above the Medicaid income limit, but is too little to pay for the monthly nursing home cost. Therefore, these people need a Medicaid planning attorney to legally lower their income in order to qualify, usually using a qualified income trust. Some people have substantial savings they can use to pay for nursing home care. If you are one of these people, we still recommended that you talk to a Medicaid planning attorney. In Florida, a good Medicaid plan can allow for you to protect a substantial portion of your assets from nursing home costs without incurring any of the clawback issues that plague Medicaid applicants in other states. It may be worthwhile to take action to qualify for Medicaid in order to preserve wealth that can later be passed on to your family. How can I get started with Medicaid planning? In order to get started with Medicaid planning, you should contact an experienced Florida Medicaid planning attorney. Our firm has completed many Medicaid plans for our clients, all of which have allowed for the client to qualify for Medicaid long term care benefits. Typically, we are contacted by three types of people who are looking for Medicaid planning representation: the applicant, a family member of the applicant, or the nursing home where the applicant is receiving care. Our client is always the Medicaid applicant, either directly in contact with the applicant or through the applicant’s agent designated under a valid power of attorney or authorized person under Federal law. Therefore, we are obligated to act in the applicant’s best interests in obtaining payment for his or her nursing home care. We also work with the applicant to best achieve his or her estate planning wishes, even with the added qualification for Medicaid. Contact us today to schedule a free Medicaid planning consultation. If you believe that you or a loved one may need to qualify for Medicaid nursing home benefits, contact us today to schedule a free consultation with one of our attorneys. During our consultation, we will be able to review your situation and make recommendations about what may need to be done in order to allow for the applicant to qualify for Medicaid and provide an estimate of the cost. We always look forward to helping our clients qualify for Medicaid.